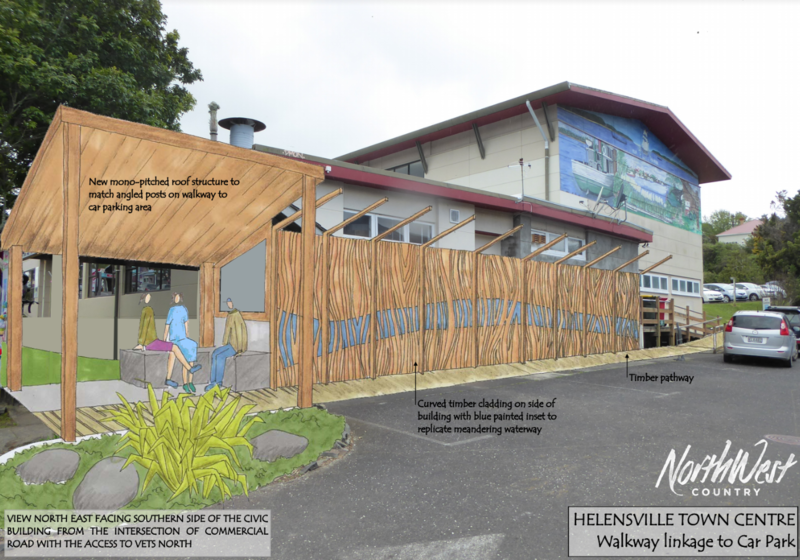 Auckland Council, in conjunction with the Rodney Local Board, is spearheading an ambitious enhancement project in Helensville’s commercial district. The decision comes after years of consultation between the Rodney Local Board and local businesses, commercial property owners and the general public. 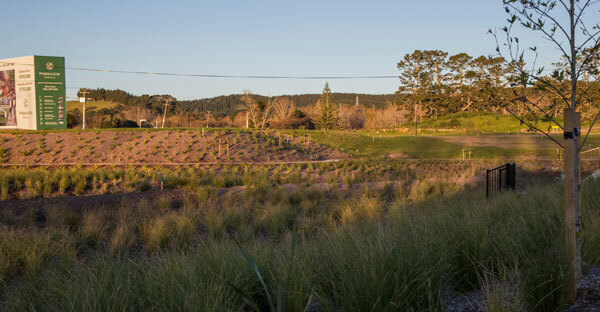 Geraldine Bayly of Kaipara Coast Landscape Architecture and Design is the landscape architect tasked with creating a singular vision for Helensville’s public spaces. Geraldine’s concept designs, which she produced with the assistance of NorthWest Country (previously the West Business Association), were unveiled to around 60 locals at a ‘drop in’ meeting in Helensville on Saturday, September 8. Geraldine says that the level of interest and the quality of feedback for the plans was “really strong”, and she’s using that feedback to develop more detailed designs with the help of 4Sight Consulting. 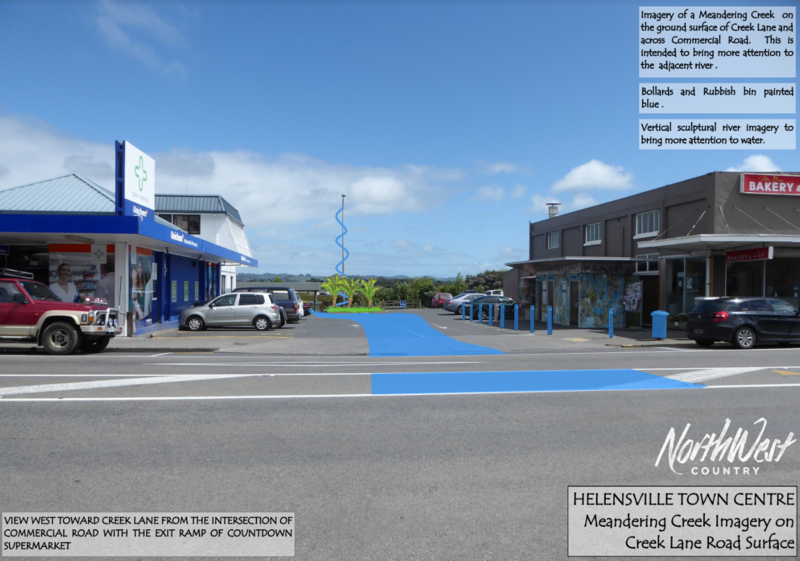 Among the core objectives put forward by the Helensville community is to implement strong linkages between the town centre and the Kaipara River. The Kaipara River is both a natural feature and a symbol of Helensville’s unique and rich history. “The proximity of the Helensville township to the river was instrumental in the original location of the township,” says Geraldine, whose concept plans are in part a visual ode to the Kaipara River. The plans include a meandering blue concrete ‘creek’ that runs across Commercial Road and Creek Lane to the river, and a blue wavy sculpture designed to draw the eye towards the water. Other ‘core objectives’ include enhancing the historic character of Helensville, beautifying local shops, more opportunities for strengthening community ties, and implementing strong linkages throughout the township. A number of new shops have already begun to open on the main street, and Auckland Council is working on a network of paths and greenways so that both locals and tourists can wander through the surrounding roads and explore the Riverside Walkway by foot or by bike. The community-led designs will be completed later this year following an NZTA Safety Audit. Stage one of the construction is expected to begin early- to mid-2019. Subsequent stages will be rolled out as funds become available. Detailed, finalised plans for the commercial district upgrades will be available in the coming months. 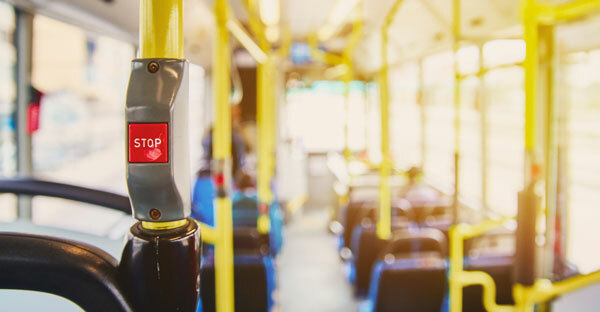 There’s no shortage of bus services in and out of Helensville, and for Parkview residents, they’ll practically drop you right at your doorstep! Head to the Generation Homes on-site information hub at the Parkview Development and find out more about their 100% fixed-price house and land packages on offer. 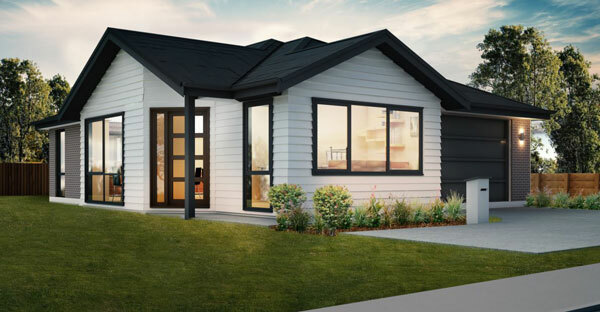 If you’re interested in purchasing a stage 1 or 1a section at Parkview Helensville, now’s the time to make your move. With titles now issued and construction just around the corner, securing your spot is crucial. Please contact Oliver Scott, Parkview Developments for more information.